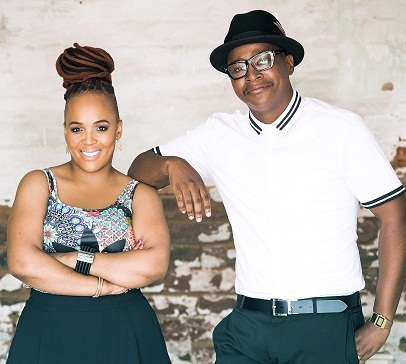 Comedy’s modern traditionalist and the bad momma of comedy - Ndumiso Lindi and Tumi Morake - are taking their rib-cracking, hilarious new stand-up show, Married…But Not To Each Other across South Africa and into Africa. Following successful shows in Pretoria, Cape Town, Johannesburg, Botswana and Mafikeng, new dates have been added in Port Elizabeth, Krugersdorp, Durban, Secunda and Nelspruit. Durban fans are in for a treat when Married…But Not To Each Other comes to the iZulu Theatre at Sibaya Casino on Saturday, July 21. Whilst travelling together on a comedy adventure, Ndumiso Lindi and Tumi Morake were asked by a customs official: “Are you married?” Ndumiso quickly replied: “Yes”, then realised what he was saying and added: “But not to each other.” And thus, began the comical journey for this wife and husband of other people. With a comedy career spanning over 11 years and numerous outstanding credentials under her belt, Tumi Morake continues to be a formidable force in the comedy industry. Her edgy and unpredictable brand of comedy has wowed audiences around the globe. When she’s not on stage, Tumi Morake can also be seen on TV screens hosting WTFTUMI and Point of Order as well as channelling her talents into writing, acting and producing. Married…But Not To Each Other takes place on July 21 at 20h30 in the iZulu Theatre, Sibaya Casino which is located at 1 Sibaya Drive, Umhlanga. Booking is through Computicket. The show carries a PG16 age restriction.